"Probably the most notable and certainly the most obvious change which has come about in the city since the war has been the almost sensational disappearance of smoke. 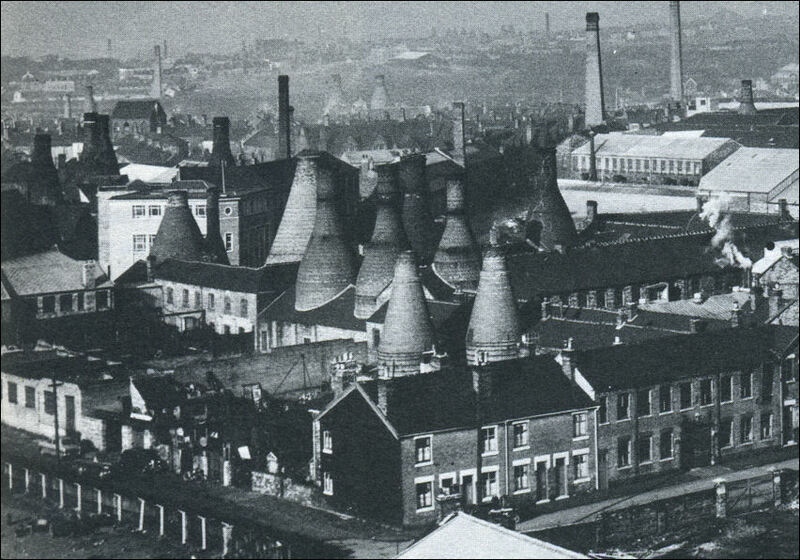 This was a black legacy of a dark, if industrious past. 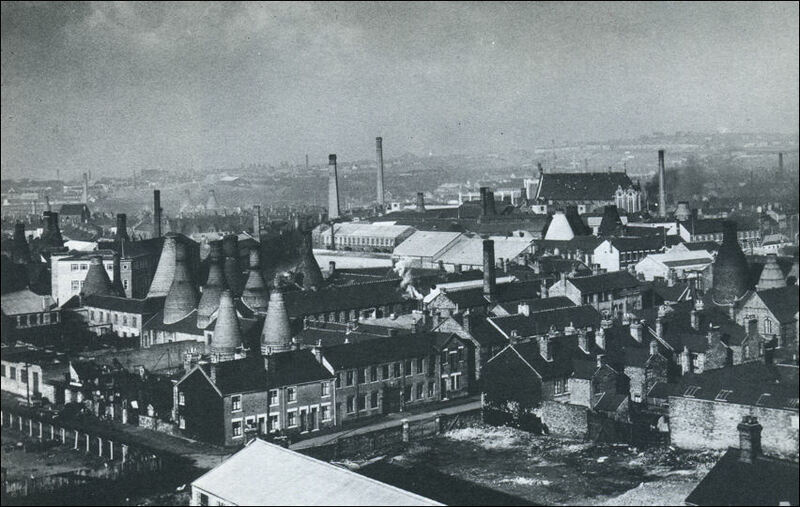 In every direction, the skyline of the city undulated with bottle kilns, the stokehold of the potteries, which, at regular intervals, would blanket the streets with a pall of sulphurous black smoke. If it happened to be snowing, it would come down as black snow; if the stoker happened to be heavy-handed, there would be an all-penetrating fall of black soot. 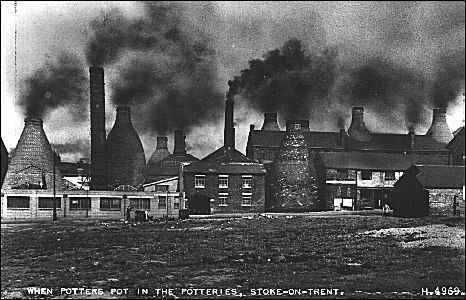 And with typical British stoicism, we made a music hall joke about it and sent postcards all over the world with such captions as "When Stoke smokes." But it was no joke to the housewife trying to dry her washing; it wasn't funny to people who suffered from bronchial complaints; and it was of never-ending concern to those responsible for hygiene and cleanliness.